I love to bake, however I hate cleaning up the pans after I am done with my baking. Most of the time there is food stuck on, and I end up having to soak the pan for a couple of hours to safely clean it. 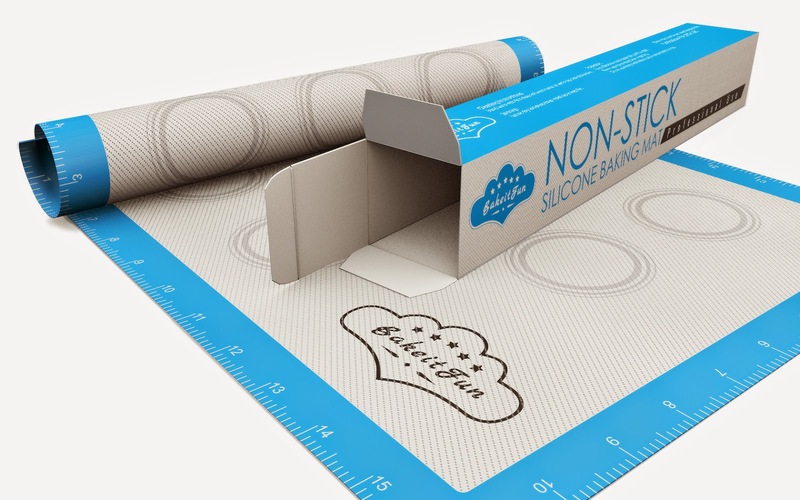 I have seen many people using silicone baking mats, and always meant to get one, but I never got around to it. 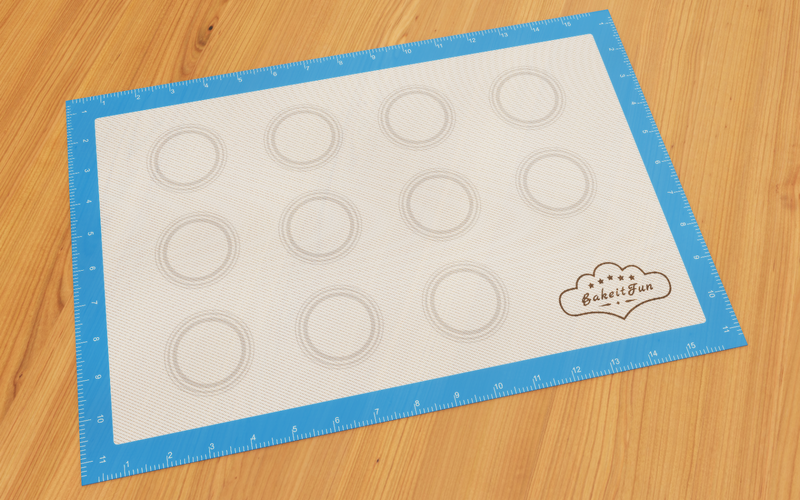 Thankfully I was able to review the BakeitFun Baking Mat and now know first hand what all the hype is about! When I got this in the mail, I immediately had to try it out. I opened the box, and followed all instructions on what to do. I washed it by hand in hot soapy water, and tried it off with a paper towel. For the first use, I sprayed a thin layer of cooking spray on the mat, and baked some cookies. The great thing about this mat, is it has circular guides to show you were to place the cookies (or whatever you are making) so they don't over crowd each other. Popped it in the oven and 8 minutes later I had perfect golden brown chocolate chip cookies. I let them cool for 10 minutes, then just took them over to my cookie bowl, and held up the mat, and the cookies slid right off into the bowl. No spatula needed! I have since used this for biscuits, pork tenderloin, chicken tenders, and french fries. You name it, I use this. I love how easy to use it is, and how it makes the clean up process a million times easier! I have had family come over and admire how amazing it works, and I am definitely going to be buying some of these as holiday gifts for the bakers in my life! I give this BakeitFun Baking Mat a full 5 star rating. I love it, and love using it. I don't have a single negative thing to say about this product! This is a must buy!